Today, there is trend of multitasking in every task to save time and carry other important tasks. Computer, mobiles and other devices support multitasking with the help of supported OS. Best example of multitasking is the Android OS in which we can play games, listen songs and download files at same times. Android OS is rather the open source operating system based on Linux which is used for touch screen mobiles, tablet computers. Android devices are also popular for entertainment activities because of there games which are almost loved by age groups of youth and children. 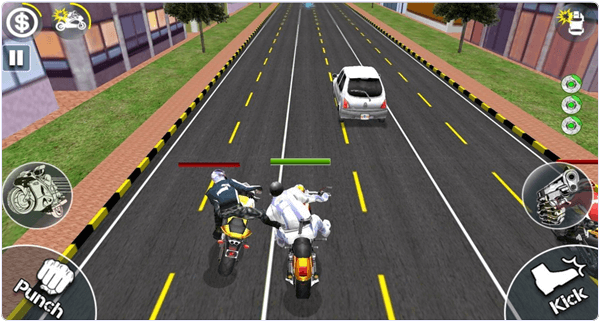 Like bike racing games for android are more popular because of their realistic environment. While we have also listed some android games to play. So today we are going to list out few best bike racing games for android. You should try these games at least once. You can enjoy fun in your free time with this games. Android users can easily download these Games from Google Play store. 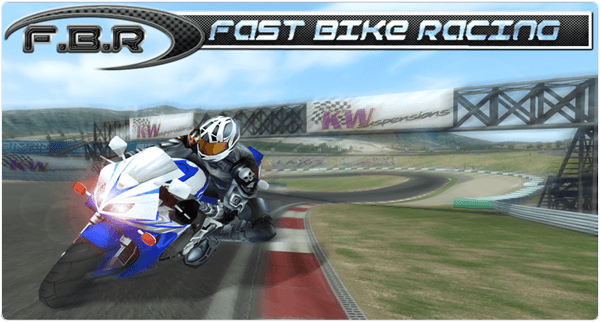 Best Bike Racing Games For Android List. 6. Drag Racing: Bike Edition. 10. Fast Bike Race 2016. After playing Racing Moto, Death Moto is yet another popular android racing game which we prefer to play. Interesting features in this we like most is that we can pick tools from our way during journey and throw them to others bike to restrict them. Every time you knock down a racer you get different helmets which help you to unlock others bikes. 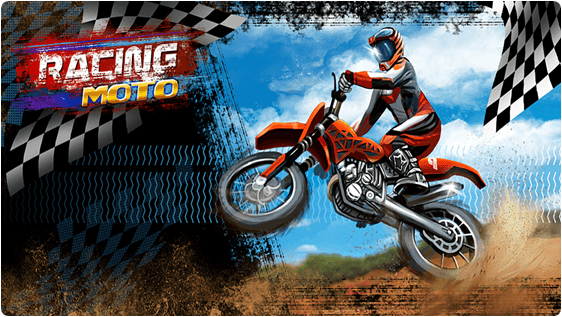 Racing Moto is popularly played Android games with Beautiful journey scene and amazing speed. Currently 483897 users have downloaded and played this Game. In this game you have to control your bike during rush in streets and roads and also enjoy the desert, city, bridge, sea and forests. 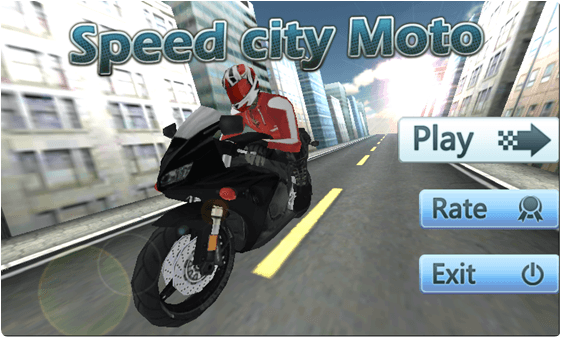 Speed City Moto is still another android racing game for users who like 3D effects. Like Racing Moto in this game you can also race in roads and also enjoy the desert, city, bridge, sea and forests. In this game you have to collect coins during journey to get new bike and helmets. 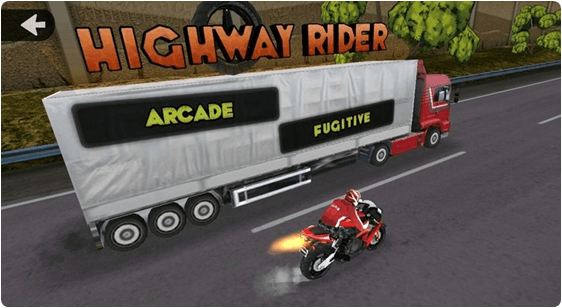 High Rider is yet another popular android game. In this game your race is with trucks and cars and when you cross them your point or score also increases. You can use boost to go at very high speed. You can also change your outfits and bikes in different shops. It also offer you different challenges to complete. For People who love challenges, this is the best option for them. 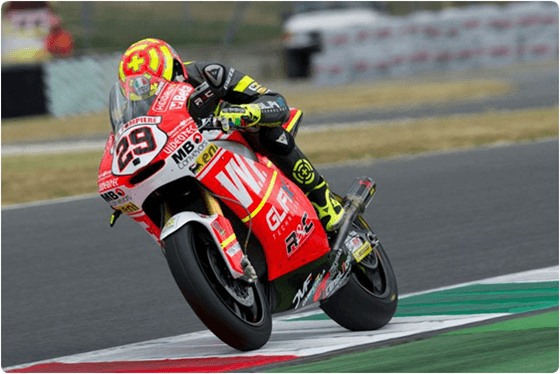 After clearing all levels of Speed Moto, you may probably like to play its advanced level in Speed Moto 2 with 3D effects and advanced racing bikes. In this game you have to find world six High Performance bike in different five zones of wold. we can choose different modes of game such as free racing, challenges, survival and drag racing. This is another popular bike racing game available on Google play store with best and realistic graphics. It’s graphics are automatically adjusted according to your device. It provide 17 Spots bikes and we can choose one of them and we can also challenge online players in online mode. In this way we can compete with others. 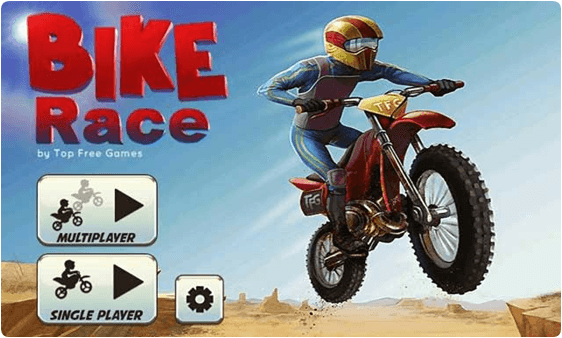 Bike Race free is another popular bike race game which offer you free style race. This game provides multiplayer option, 16 amazing bikes, 152 different tracks and simple controls. Beat another racer to get stars and unlock different bikes with advanced racing features. Another amazing title among other bike racing games for android. It offer Stunning 3D graphics. It has a rating of 4.1 on Google Play Store. This game provides 60 different tracks in career mode. We can select from five different unique bikes. It is an easy to play game but difficult to master. Approximately 100 million users have downloaded this game. 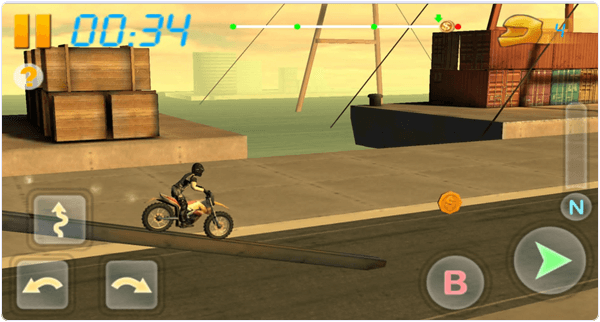 Bike Attack Race is another best game in the list of bike racing games for android. It offer Awesome 3D graphics with tilt controls. We can also fight with other players with kicks and punches. This game offers 10 different levels with challenges and difficulty. We can collect different pickup of Boost, stunts and power. Approximately 10 million users have downloaded this game. It is another good choice in all bike racing games for Android users. It offers a wide variety of high speed bikes like Yamaha, Krizma etc. This game offers actual physics of bike racing. We can also compete the online players around the world. We can change the appearance of bike and rider. This game offers ultra smooth tilt control. Approximately 5 million users have download this game. In conclusion, these are few best bike racing games for android phone. Download which you find are best way to enjoy bike racing. You can share your suggestions, reviews as well as queries in comments below.